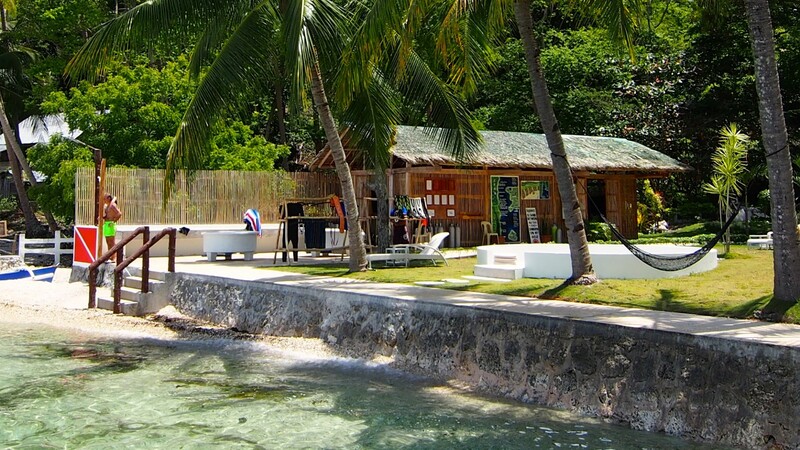 The highly professional dive base – DIVE SPOT ASIA – is located amidst the beautiful “Dive Spot Asia Beach Resort”. Both DIVE SPOT ASIA and the resort are under the same German management. 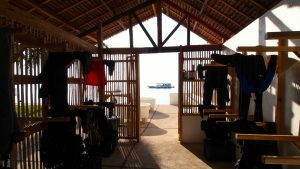 The dive center owns and operates 2 boats. For quick getaways, you can hop on to the 10 meter-long speedboat called the “SEASNAKE”. With a 200 HP strong outboard engine it can carry up to 8 divers to the dive sites. For day trips or safaris, the 30 meters long and spacious boat “HIGALA” is available for use. With an 8-cylinder diesel engine and 330 HP it is the fastest and biggest banca along the whole southeastern coast and can carry up to 20 fully equipped divers with plenty of space to spare. 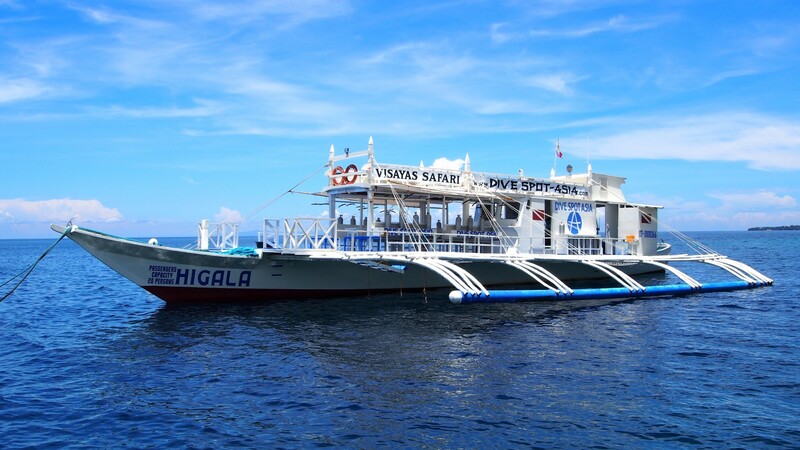 Our compressor and the Nitrox system are located on the “HIGALA”, too, which also makes her a self-sufficient floating dive center and safari boat for multi-day trips. All our tanks are made of aluminum and have universal DIN and INT valves. We have a screw-in adapter so there is no need to carry your own DIN adapter. The standard size of our tanks is 12 liters, but we also offer 9 or 15 liter tanks. Rental equipment by Apeks and Aqualung belongs to the range of equipment as do UW-lamps by Seatec and dive computers from Suunto. It is not necessary to bring your own equipment. On land and on water each diver has enough space to store equipment. 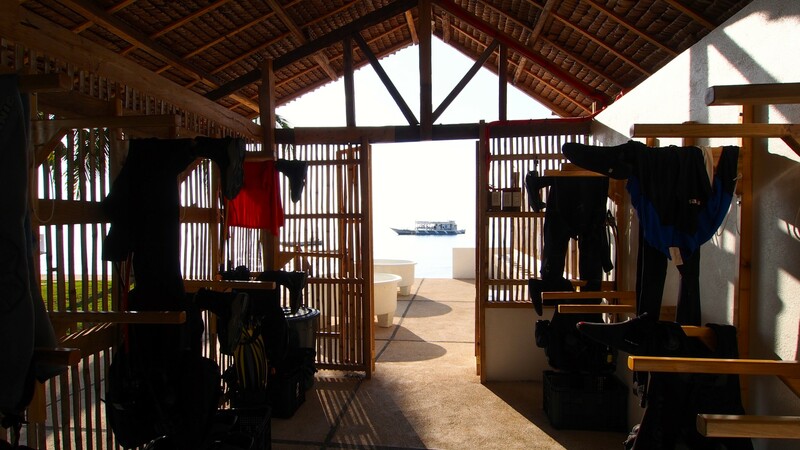 Washout tank, well-ventilated equipment room and showers are available at the dive center. “Dive safe and have fun” is the dive center’s main guideline and we encourage everyone to do so because anyone who dives safe has more fun underwater and can enjoy the overwhelming tropical underwater world. A first aid kit is available as well as 100 % oxygen, mobile phones and radio equipment – these are part of the dive center’s standard equipment. As for decompression chambers, there are two in Cebu City. One is used by the Philippine military, and the other one is operated by the Philippine diving association. To complete our security package, DIVE SPOT ASIA offers insurance by Aqua Med which offers both basic and professional insurance with different service offerings such as: pressure chamber, reimbursement for medical measures, full travel health insurance up to 56 days per trip and repatriation costs. Dive training is offered according to SSI standards and guidelines. We offer the training in German and English. The theory lessons are held in a friendly and casual atmosphere at the Fire Pit Lounge or our restaurant. Practical exercises are carried out at the house reef in our training area (a sandy area with plenty of space, surrounded by coral blocks). Whether you are a beginner or professional, the rule of thumb is the same: “Dive safe and have fun”. Furthermore DIVE SPOT ASIA provides many ways to make your diving holiday truly special and unique. 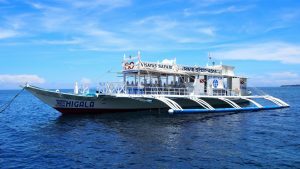 We offer a wide range of activities that are fun and unforgettable such as snorkeling, dolphin watching, dive training, single day and multi-day trips to the following destinations: Cabilao, Sumilon, Caceres Reef, Siquijor and Pamilacan. 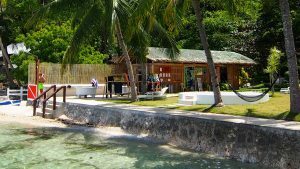 You may also request an individual offer which can include pickup from the airport, diving packages, accommodation at our Dive Spot Asia Beach Resort and much more at a discounted price. Charges apply at all diving sites. However, these vary from area to area. In our local waters the diving fee currently is 100 Philippine Peso per day and diver, at nature-sanctuaries diving with cameras is 300 Peso per day and diver. In the more distant regions the charges will be divided by the number of divers / persons on board. Camera lovers may get charged additionally in these cases as well. Please don’t hesitate to contact us should you have any further questions.